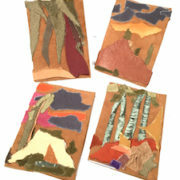 Refillable Journal covers from Unbound Leathers® are one-of-a-kind miniature Leather Landscapes that celebrate the raw organic nature of the repurposed leather. 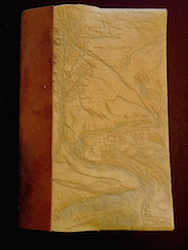 Images draw upon themes, colors, landscapes and beauty surrounding the artist’s studio in the Colorado mountains. 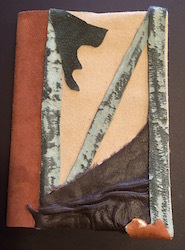 Journal Covers accept standard 5″ x 7″ lined and unlined journals as replacement inserts available in most office supply stores. 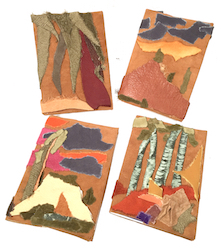 Journal covers from Unbound Leathers® are one-of-a-kind miniature Leather Landscapes that celebrate the raw organic nature of the repurposed leather. 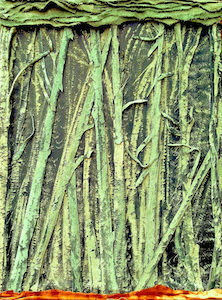 Images draw upon themes, colors, landscapes and beauty surrounding the artist’s studio in the Colorado mountains. 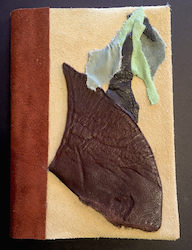 To achieve the imaging, the leather has been cut, skived, manipulated or fabricated to enhance the texture, grains shapes, colors and contrasts inherent in the hide, the original tanning/dyeing process & daily wear experienced during the leather’s previous existence. 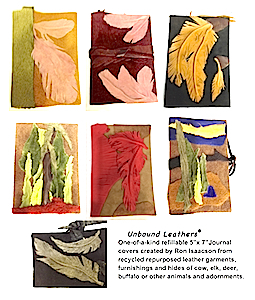 Expect Journal Covers from Unbound Leathers® to continue to evolve and wear as the leathers respond to light, heat, humidity and handling. 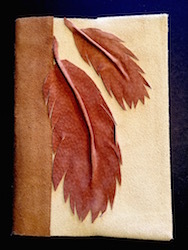 Journal Covers accept standard 5″ x 7″ small journals as replacement inserts available in most office supply stores. 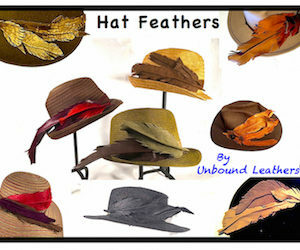 I do not condone the taking of an animals’ life for commercial use. 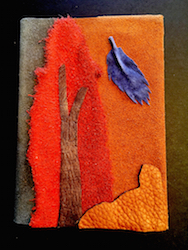 Yet, like many who believe in animal rights, I see no honor given to the sacrifice made by discarding the hide when it is no longer desired for use in it’s current form. 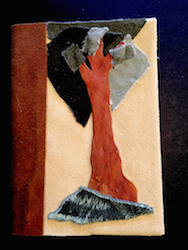 In recycling and repurposing the leather I pay homage to that life. 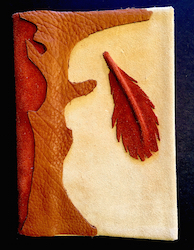 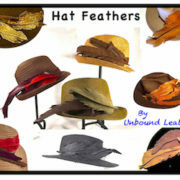 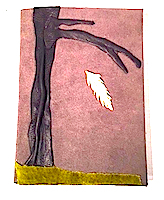 You too can keep the spirit of those animals alive – Share my creations with others by gifting someone a one-of-a-kind journal or other creations from Unbound Leathers®.